When your customer’s order leaves our fulfilment hub, GiftPro now automatically sends the purchaser an email that lets them know that the order is on its way with a reminder of what the order contains. Dispatch emails should not only reduce customer support calls, but also improve the customer experience overall, and as usual, we’ve designed them to look and work beautifully on every device. GiftPro offers various delivery methods, however, if a purchaser selects Special delivery or Specified day delivery, their order dispatch email will contain a tracking code and a button which links directly to Royal Mail’s online tracking service. 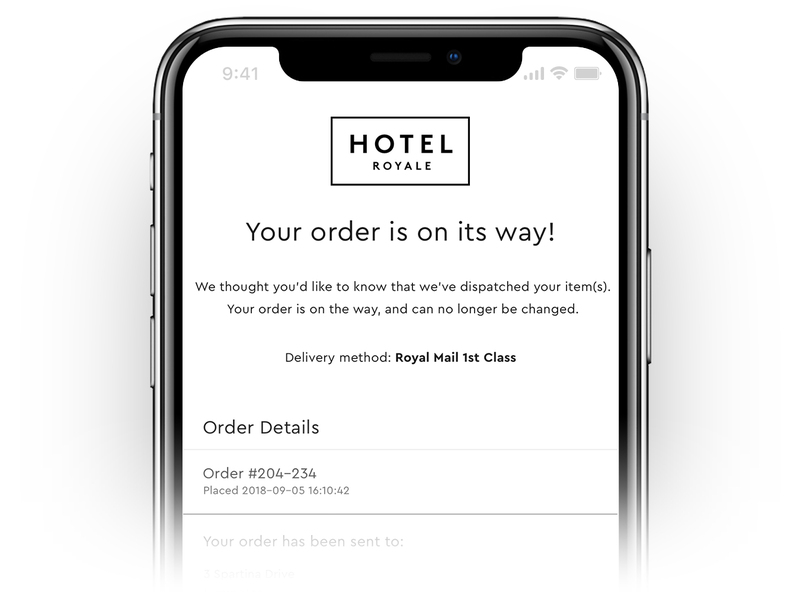 Best of all, you don’t need to activate this feature, your customers will start to receive dispatch emails for all postal orders moving forwards!